The passionate blog of Afterisk Inc. This tutorial is about native extension for Adobe AIR and GCM (Google Cloud Messaging) which is a free service provided by Google that allows messages to be pushed to devices of your app users. 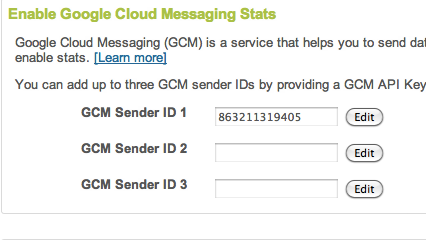 If anyone is interested in more information on how to create an Android app capable of reception of GCM messages please check out this article on Google dev portal: GCM Tutorial. In the course of development of a new social drawing app “Sketch Guess”, we wanted to add an ability for the server to notify players when important events occur in the game and display the appropriate view when the application resumes or restarts (the “fetch message payload after app just launched” capability is only implemented in our own solution so far). While there is an abundance of Adobe AIR native extensions for iOS, there was definitely a gap to be filled for Android applications. The only way to proceed was to create our own extension which I’m going to provide here for download along with a fully functional example application and a set of instructions below. The extension is made for Adobe SDK 4.6 + AIR SDK 3.1 . Although, I’m sure it’ll work with 4.5 and 3.0 or newer versions. My weapon of choice in developing Air things is Intellij 10 or 11, so I won’t be providing exact procedures to link to “.ane” when you setup the project since that varies from environment to environment. Anyway, first things first. Please download the archive which contains extension and the example application from here. The package also contains APK which can be installed to any Android 2.2 + right away and tested (it uses GCM sender ID of one of our test apps). Actual extension “gcm.ane” is located in “ane/” folder and can’t be used right away for your own project (the usage can be seen in example application). “com.afterisk.gcmdemo.GCMExample” and the output swf file as “GCMExample.swf ” (I’m using ‘bin’ folder as output folder). In dependencies of your project, specify a new library that includes “gcm.ane”. That should get rid of all the missing references application has. If you are using Flash Builder older than 4.6 or Intellij 10 you might want to duplicate gcm.ane and rename it into “gcm.swc” in order for the compiler to recognize the references. Create a run configuration (to run on device) that uses the provided “gcm-air-app.xml” descriptor file, connect your device via USB and compile. That is really all that’s needed! Use extension in your own application. In order to obtain for your app you need to go here and follow Google’s instructions. Once that is done, replace the value of public static const GCM_SENDER_ID:String with your own senderID. If you entered everything correctly you can create a run configuration and run the app on your device while using your own sender ID! “title” – a title of message that shows in notification bar (optional). “alert” – a message shown to users in notification bar, when notification is received and the application is either in the background or not running. “type” – type of notification. You can put any string data into it, this parameter will be sent to client as a part of String typed message when application launches or resumes from notification. “id” – same as “type,” another piece of data that is sent as part of String message (again, anything can be placed into it!). In AIR, if you trace your GCMEvent message property it will look something like this: “type: the_value_of_type_parameter, id: the-value_of_id_parameter”. Based on the parameters of “id” or “type” you can now show an appropriate view to your users. I hope the extension we created will help you with GCM messaging implementation. Again, here is GCM Extension and Example download link. sorry my english so bad. Thanks You ，so much！ i rebuild the ane success. thanks afterisktech ，reply seed so fast! thanks this ane and you. a question. this ane can add sound notify? or waiting next version? VerifyError: Error #1014: Class com.afterisk.shared.ane.lib::GCMPushInterface could not be found. where is shared??! you didn’t attach ane to your release, thats why you get this error. I tried your ane on Galaxy S3(Android 4.1.2) it is registered succesfully, but when i tried it on Xperia Arc S(Android 2.3.4) it writes Registering but no effect after that. Events are not triggered. Do you know the reason? Same problem here using Xperia Arc S ( android 4.0.4)…….. afterisktech can you help us ? Seems like you both guys are using same phone but with different OS versions on it. Hmm…i don’t have the device handy but the code is generic and does not have device specific implementations. Did you try the demo app included? Does it work? It worked after adding debug to id Thank you….. I read that you were busy and couldn’t add sound to ane. Did you add it for now? Or do you think make your project open source? SRY my text didn’t appear . I do not get any Notifications at all. I have worked on this for hours, and have gone through the entire tutorial 3 times just to make sure I haven’t skipped anything. The app will register and send back a ResigrationID. I send a message out through php and google sends back a success:1, failure:0 in the return json. The device does nothing. No text in the _messageField, nothing on the device itself. I am using a Samsung Galaxy 10.1. I am sure the issue is something I am doing wrong, but for the life of me I can’t figure it out. Like I said, everything seems to work, but the actual Notification on the device. Do you get any response from service? Try and use debug mode and see what traces say. what do you mean by debug mode? Debug on device. connect device to computer, and debug from within the IDE you’ll see messaging. It looks like it registered. I am using my google API Project Number as the Sender ID, I could not find a sender ID anywhere and I found online that it is now Project Number. Compiling with Air 3.6. Google Cloud Messaging For Android is turned on in the Services. sender id is displayed in your google play publishing admin, when you’re looking at the app details you can click at “Services & APIs” and it will be displayed as “Linked sender id”. I have tried everything. I just don’t receive any notifications at all. Everything else seems to be working fine. Did a lot of searching and google uses project id not sender id. Does this app have to be installed through the google play for it to receive messages? or can it be installed like a normal debug apk through terminal? Is my problem not going through Google Play? it doesn’t have to be installed through google play, but it has to be registered on google play and you must use correct sender id and package name. its a common error to apply wrong package or id. As many people here, my GCMEvent.REGISTERED is never fired. I think i tried every solution in the previous comments so my manifest should be ok. I hope someone has an idea and I post my manifest. If needed I can send the whole project. remove “.debug” from category android:name=”air.TestMobile.debug” so its just “air.TestMobile” your package name, and that the package name matches your package name on google play…. Thank you, worked perfectly. I have one issue where the debug trace shows that I receive the Remote Notification on my Samsung S3 (Android 4.1.2) for *every* push that I send, but I do not always see the icon in the notification bar. Has anyone else had this problem? Aside: Our project is also used on desktop and iOS (with different ANE for remote notifications). Rather than using conditional compilation etc I created a default actionscript only version of the library.swf that just implements the GCMPushInterface and GCMEvent interfaces and compiled it into the ANE (e.g. the last part of this command: adt -package -target ane gcm.ane extension.xml -swc extension.swc -platform Android-ARM -C android . -platform default -C default library.swf). I found (painfully) that to package a default implementation for iOS I had to be using an AIR SDK later than 3.4. Hi, guys, respect for your great work. How about including sounds and vibration to the ANE… any thoughts about that? Is there a way to detect the app has been uninstalled so that it can be unregistered from GCM? this interface has capability to unregister, but it can’t unregister when you just uninstall. call unregister before they quit and re-register again on every app launch. thats how you can do it. When I user this ane on motorola x911,It traces GCMRegistrar: registering sender 1012537563378 but Events are not triggered.When I add .debug after <permission android:name="air.MobileLHNOVA. It logs still GCMRegistrar: registering sender 1012537563378 ,no other messages , Do you know the reason ? Thank you! try to see what your php (if you are using php) code says, see if delivery fails, see if you have any registered devices in your db (if you are using it), the sende you’re posting here. is it yours? i just checked the sender id you provided…it’s not ours…debug sender code. how can i change the icon and add sound? the sound is default for now, as far as icon goes you can repack the extension with new icons, look in comments for the answer please. No sound for me either, you have any solution for us? when app is in background and notification comes the app crashes! do you know why? It could be many things, it doesn’t crash my apps, i use the same version as it is posted here…you have to be more specific. use logcat to debug. Can i make that the notification still come when the app is in background just like when the app is not running? what’s happеning here did you know? start with manifest and then continue tracking down the problem, a lot of times people miss things that need to be added, put wrong sender id, app package …. NO sound and no vibration! Application crashes when notification received in background! There could be a thousand reasons why it happens. You can start debugging by creating the new app (for testing) with the same package id and use the same sender id. if it works you need to find a reason in your own app. hi there, first of all: thanks for the extension! unfortunately i’m having problems receiving push messages, using urban airship to deliver test messages (debug mode on). 1. obtained a sender id via google (157978887xxx – last three digits replaced with an x); note: i haven’t uploaded an APK to google before, i just created the entry for being able to enable GCM for it and getting the sender id. the result is only the call of the function “register” (which is done after initializing the CGMPushInterface object), but there is nothing like “registrationID” in the response text, so the whole block in the end of the register function is not being called..
1. Added an app in the Google Developer Console (in my case, the only thing i really entered is the name of the app, which is “redar”). Since I simply want to test if GCM is working on my Android smartphone, I did not upload an .APK yet. 3. Used the code you posted and used the obtained Sender ID as GCM_SENDER_ID. 6. Added an app on urbanairship.com, named “redar”, set the mode to debug mode. 7. Added the GCM service, package name = “com.skizzo.redar”, API key = The same key I used for obtaining my Sender ID. Since you’re checking the response for the index of “registrationID:” which can’t be found in the response, the functions handleRegistrationIDReceived etc. are not called. Furthermore, no GCMEvent event handler is ever called..
Could you please help me? What am I doing wrong? Is it because I didn’t upload an APK? Could there be something wrong with the app xml? For starters, you’ve got a wrong package name in receiver in your XML. i wrote it in the article. always add “air.” before your package name. This is what any air app needs to have. Why does it have to have “air” in front of the app? Hi! The extension works well, I can get the “registrationId”, however, I need to send this Id to urban airship API (api/apids/), and they need a version 4 UUIDs (36 characters long) of this id…….. but the Id that I receive from your extension is really longer than 36 chars… any ideas ? thanks ! urban needs its own extension, because you have to register with their system,at least that is how it works for iOS. In fact, under iOS I managed to connect to UrbanAirship without using their native extension. In Android, I could do the same, but I would need to know how you generate the actual “registrationId” that your extension returns ? Where do you get this id? Is it from a native Java info available on the device ? how exactly would you send your registrationID (mine is 162 digits long) to urban airship? the function “handleRegistrationIDReceived” is empty except the comment.. Thanks again for your Answer it helped me dig a little deepter. From what I understand now, UrbanAirship expect an “ApId” OF THEIR OWN in their back-end “api/apids” call. They probably bas this “APID” on the 162 digits registrationId given in the GCM SDK … This “APID” would actually be available only from the JavaLib they give to code a JavaClient. So, for now, my conclusion is that, for Android devices, if we are using UrbanAirship as a back-end service, we would need a NativeExtension for Air that exposes the UrbanAirship Java Lib. yes, like i said they have their own system, a mediator between platform and your client…so yeah either use the extension for airship or just make your own backend. Its rather simple. The php example is included with my blog post. thanks kimus, but does that subsequently mean that there is no way to use the extension provided in this tutorial in combination with urban airship and android? From what I understand, yes, we can’t use this extension if we need to connect with UrbanAirship. It’s really disapointing cause I installed and used your extension for iOS and it worked perfectly. Hello, thanks allot for an amazing library 😉 Some of you experienced an issue that app crashes if notification comes when app is running. I’m wondering if anyone solved that problem, if so how? Looks like I did everything correctly because I can receive notifications without problems when app isn’t running. The other small issue is that notifications come without sound. Is it somehow possible to make the default sound to play when notification is received? I hope someone can help, I’m not getting any data when my app receives the COMING_FROM_NOTIFICATION event. I can get the GCM token OK, but when the Push service I’m using sends a message, the data is empty. Have you send this issue or have suggests? check with dummy data send it from browser. if you receive message on device, that means something is wrong in your backend code. I used the demo with my own GCM sender ID with my nexus s (4.2.2) and it worked fine, i then tried it with my Samsung Galaxy Tab 2 (4.0.3) and nothing. After that i tried it with my friend’s Samsung Galaxy S 2 (4.0.4) and again, nothing (it stops at “registering sender …”). I also mention that i tried all of these devices with the original demo code and GCM sender ID and obtained the same results. I tried putting “air.” in front of my app id but again, nothing. I put here the xml http://pastie.org/8336087 . Maybe, when you have time, you could tell me what I’m doing wrong. Why am I only receiving “type” and “id” and not any of the other properties? Have the same problem here. Found any solution? Your ANE works like a charm thank you. when i turn off the mobile device and turn it on an alert pops up claiming that there was a problem and the app has stopped working. i’m sure its from this ANE, because i removed the ANE, turned off and on the mobile device no error, and even tried the app with the ANE on other devices same error..
any suggestions? or is anyone facing the same thing? Do you know why ? Hi, Steve. Did you manage to solve the problem? I am facing the same issue. Hi, I have been scratching my head for a couple of days while all I get from the trace is “GCMRegistrar: registering sender XXXXXXX….” when I call this function _gcmi.register(GCM_SENDER_ID). Please help. It sees like the previous comment from SteveCohen is having the same issue. I am sure he is referring to this http://blog.pena.ro/2012/11/google-cloud-notifications-native-extension-for-air-on-android/ where a debug suffix is added at the back. You have a lot of comments in you manifest. FYI, I am testing the service in Android running 2.3. Is there any prerequisite to run the service below Android 4.0? Is there a way to run this ane below 4.0.4? Now when I send a push notification, it instantly pops up on my device and all. The text, title etc can be set. But the Icon that pops with the push notification shows as the “question pencilmark” you used for one of your apps (and is referred to in the example code). Followed this link to create my own ANE version with my own Logo’s. Built seems successful, but when debugging/releasing on my phone, it doesn’t get past the app splash screen. I can still send push notifications, and they will still show up with the wrong Icon. Fixed it! Didn’t check the new .ane in one of the 600 places I have to………icon now shows correctly! yeah you need to unpack the ane, replace icon and repack it. easy to do, people here did it a lot. First of all, I want to say that the title of this blog entry says exactly what this is, this is the only ANE that I’ve found (after making a profound search on the Web) that works with the GCM and it’s completely free! So, I must say thanks a lot for sharing it with everyone and good job. I, myself, have been struggling for a couple of weeks making my own ANE for this but I had problems exporting the Google APIs libraries required for the GCM to work within the Android native project. I’m not an Android developer myself so after trying (and failing) for sometime I decided to quit and search for an existing ANE that would help do the job, and guess what, this was the only one I found. I understand that your ANE was thought to get notifications specificly for your SketchGuess app, that’s why you are only sending the “type” and the “id” variables of the payload from the Android side to the extension through the StatusEvent. The thing is that in the application we are developing, we are interested in getting the hole payload or at least all the custom variables that we may add to it when the notification is sent from the server (this is what we are currently doing with iOS notifications so I supposed it’s possible). Now, I far as I understand, in order to achieve this behavior, the ANE should be (lightly) changed. Would you be willing to make a custom build of the ANE with such changes? I know this is asking a lot but you have no idea how incredibly helpful this would be. If this wouldn’t be possible, is the are a chance you could give me some advice on how to successfully export the native Android project to have it include the GCM libraries? I don’t usually ask for these kind of help but these are times of real need! Well the idea behind GCM payload plugins (unless catered to something particular) is that you would create value pairs, assign them to one field and then parse in client, because they come as a bunch of strings anyway, the payload does not support objects or datatypes other then string. That is true not only for this plugin but for anything that uses push GCM/APN etc. Hi! Thanks for making this publicly available for everyone to use! I’ve created a test app in Flash CC, ran the debug version on my phone. I also managed to get the php side working, and the messages are received when the app is active or running in the background. When the app is closed however, the messages don’t come in. No notification at all. Does the app need to be in the Play Store for Google to know which phone to target or something? I think I’m missing something here.. It needs to be on Google Play, but it doesn’t have to be published to public. Thanks for the swift reply. I’ve uploaded the app to G Play and published an Alpha version. But still no notifications when the application is closed.. The app doesn’t fetch them when opening later on either. It does receive messages send when the app is opened. No problem. Hmm…this is rather odd, and I don’t think I’ve encountered such issue or question here before. The only thing i can think of is that you unregister the id before quitting. By app opened you mean app is active but in the background? Alright. I’ve looked at the trace outputs and it shows no unregistration before closing the application. When I open the app again it registers automatically, after which it does say the device was already registered. hmm.. but only one time. On the second try no notification was received. I’ll just go on and try some things. It worked once, so I guess the code should be good right..? Ok, I’m getting the notifications now. I had to install the app from the Play store, not the APK directly I guess. Only thing now is that it’s a quiet notification. No sound, no vibrations, no led. Is this by design, or do I need to add something to the php code? It doesn’t create notifications when app is in foreground. no point right? What it does instead is sending “foreground message” event directly to air client. So you can still handle if someone or your backend sends you something. Hi guys, although problems have been numerous and solutions probably too, I just came across some strange behaviour when testing this ANE in both debug and release modes. In release build, I, much to my surprise, had to use my project ID. Otherwise it would never get past the ‘Registering device with GCM’ message ! Just to let you know if you run in to similar problems. If anyone can explain this, please, I am all ears ! And, as Ogy has mentioned, it crashes the app when it is in background on one of my devices running Android 4.0.3. On my HTC Desire, running Android 2.2, it works as it should (no sounds though). Judging from the exception, it must mean that ‘context’ is null ? Could you add a check and return false from the isAppInForeground-method if context is null ? Perhaps something changed, I cannot tell. At the time the system in question did not exist. They work with default settings of the system, if you have sound there should be sound otherwise no, same for vibrations. Sorry, I did not have time more time to spend on it. It was a gesture of good will, then other things kick in. I provide reasonable support but some of it is just beyond reach. Thanks, please do! It seems like a lot of people are still using it. I personally don’t even use Air, but I am glad that it still works. Hi again, sorry it took a while… I read somewhere that waking an app with a notification required the app to register for this particular kind of behaviour in the OS on first run. This change in requirement was introduced in Android 3.1, which explains why it worked on my phone running v2.2 and not on my tablet running 4.0.3. Long story short, I added the flag so the app tells the OS to wake it even if it is stopped when a notification for the app is received. I also have fixed the null pointer exception (at least it seems so) as well as added default sound, led-light flashes and vibration upon notification. In our test suites it has worked well so far. Would you like to host the modified ANE ? Great job, mate! Thanks for helping out! unfortunately we can’t host it because that’ll require a thorough testing, but! we can link to it in the post, if you provide me with a URL and a short description of the updates you made (release notes). Hello, here is the github repo of the plugin, we made it public. Go ahead and use it and upgrade it if you’d like. I could add you to contributors list as well. Let us know. Hey man, I’ve set up your ane, register just fine so far so good. When I send a (custom JSON) message from my push notification service (appcelerator cloud), eventhough I get a GCMEvent.MESSAGE dispatch, the message is type:null, id:null. Hmm, but isn’t the whole point to just receive a JSON with those 3 things inside? “alert”,“type”,“id”? If it receives a JSON with those 3 inside what difference does it make where it comes from? Perhaps I need to add something more in my JSON? I can’t understand the “Compile and run example application” part. I get the error “VerifyError: Error #1014: Class com.afterisk.shared.ane.lib::GCMPushInterface could not be found.” and I think the main reason is this part. can you tell me more specifically? you are not including the ane correctly, read up the comments, people had this issues many times here. 2 things you might want to double check T-Macintosh. 2. That you’ve set the into your app xml, which I believe you have. Most probably your ane is not transfered in your device, therefore you’ve got an issue on runtime! while i am packaging the ane to chagne icon. any help? Hi there. First of all, thanks for your ANE. You make my day ! Everything works like a charm ! Everything but vibration and sound. Claus told us on 27 march 2014 that he did it works with some modification of your ANE. Is there an open source version of your great work ? Before posting, i’ve tried integrating com.adobe.VIBRATION ANE and consequent … Checking all my phones parameters about notification sounds and vibration……. and so on……. Hi, I’ve used the ANE and it works fine, it’s really cool. However after adding the ANE my app is crashing when I try to run it in the simulator. As far as I’ve read online this happens because the ANE didn’t include the ‘default’ implementation. Is there a plan for that to be fixed or maybe the ANE source code made available so community could fix it? I am using your ane from last year and everything works fine but i need to add 2 new folders to android/res (drawable-xxhdpi and drawable-xxxhdpi). Can i add these two new folders ? do the icons added take effect on devices xxhdpi and xxxhdpi ? for the folder drawable-hdpi your icon size is 36×36 however in the forum 72×72 is used. for the folder drawable-xdpi your icon size is 48×48 however in the forum 96×96 is used. for the folder drawable-ldpi, you normally don’t need to create custom assets at this size because Android effectively down-scales your HDPI assets by 1/2 to match the expected size. As I’m french, does anyone have an idea to make characters with accent (àéè…) appear in the “alert” field? How can I show a dialog when it got the message in the background? “Registering device with GCM…” . This is my app.xml (http://pastebin.com/CJmgipda), please give me some hint, thank you!